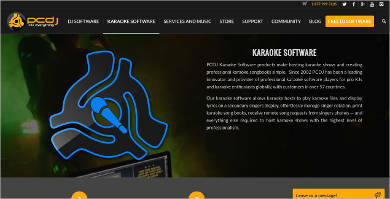 Create a fun and free atmosphere with a karaoke software to service your karaoke business or jam with your friends by downloading a karaoke software straight from your Mac or PC. Get over a thousand popular songs of different genres with lyrics flashed on your screen. You can even download a karaoke app straight from your smartphone and enjoy singing songs and scoring points along the way. Get to know other karaoke software that have audio recording capabilities and a playlist tab. Choose the right software that meets your Mac or PC specifications or produce your own music with a studio recording software. Sing along to favorite tunes that are hitting the Billboard list or create you own YouTube single with a song recording software that lets you professionally record and publish original tracks. We’ve picked the best karaoke software that works without the bugs and crashes. Karaoke 5 – Karaoke 5 is a versatile player program that has home and professional versions. It synchronizes text with videos to produce MIDI, MP3, K5, and MP4 files. You can mix songs, add virtual instruments, and broadcast shows through the software’s easy to user-friendly management control tool. 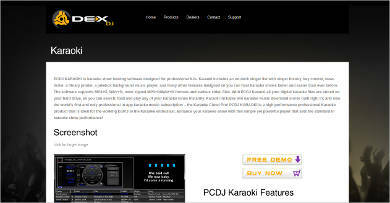 PCDJ Karaoke Software – PCDJ can be used to as a karaoke show hosting software, songbook maker, songbook request system, or a Mac and PC software. The karaoke show hosting software contains a singer rotation list, key controls, jukebox background music player, news ticker, and cloud for pro users. 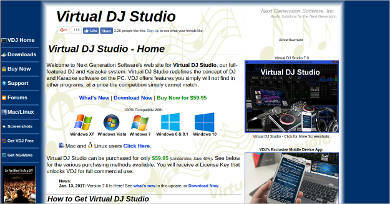 Virtual DJ Studio – This software is limited to two players yet gives you a mixer-board interface straight from your smartphone. It’s not your typical mixer as every single line contains an MP3, WAV, or karaoke player, and you easily route the line to an alternate device. 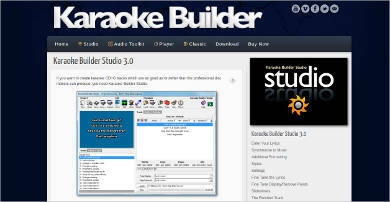 Karaoke Builder Studio – Add your own image to your song and create duets with the Karaoke Builder Studio’s powerful CD+G tracks that lets you play your songs smoothly on a CD+G machine. This karaoke software also supports MP3+G format. 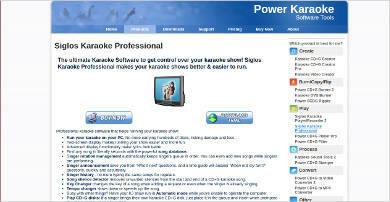 Siglos Karaoke Professional – Siglos is a dandy software that allows you operate your karaoke on your PC, manage your show using two-screen display, work smartly with singers using singer rotation management and singer announcement features, and control sound with the tempo changer and the song silence detector. 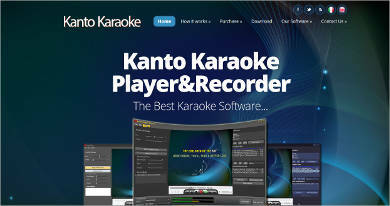 Kanto Karaoke for Windows – Kanto lets you play and create playlists, and host a live performance without interruptions. It supports different formats like MP3, MIDI, Kar, MP3 + CDG , karaoke videos. It also works as a recorder and MIDI to MP3 converter. 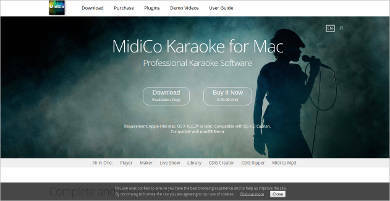 MidiCo Karaoke for Mac – It creates and supports well-known formats like MIDI, KAR, MDC (MidiCo File Format), CDG Zipped and Karaoke Movie, MP3 (SYLT-LYR), and CDG. It has a mixer-like interface where you can do audio adjustments like reverb, chorus, or pan. 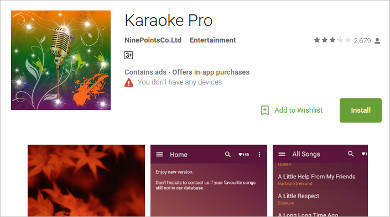 Karaoke Pro – This karaoke app is handy and can be used anywhere. It contains 9500+ songs in different languages. It’s so easy to use, just download the app, search for your top songs, and sing. If you’re an aspiring DJ looking for an awesome music mixer software for your tracks for your concert gigs or late night shows, you can use top trending choices of music mixer software like PCDJ Dex, algoriddim djay Pro, Mixvibes Cross, and Atomix VirtualDJ Pro.